Ever wonder how your favorite grocery store gets the merchandise—food and non-food alike—that it makes available daily to shoppers like you? And have you ever marveled at how quickly your local market can re-stock items like hot dogs and watermelon over the Fourth of July, or keep turkeys and cranberries supplied for the Thanksgiving holiday, when it seems that these family favorites are always flying off the shelves? This century-old, privately held company today ranks as the largest wholesale grocery distributor in the United States based on revenue. In 2018, the company boasted revenues of $28.1 billion, making it the 10th largest privately held company in the United States, as ranked by Forbes magazine. From its headquarters in Keene, NH, C&S delivers more than 140,000 unique items (referred to as SKUs or stock-keeping items)—ranging from meat, seafood, dairy, deli, candy, bakery, and produce, for example—from 50 high-tech facilities to some 6,500 corporate customers primarily in the Northeastern and Southeastern US states, as well as California and Hawaii. These customers include grocery chains, including Continuant customers such as Kroger and Target, among others. 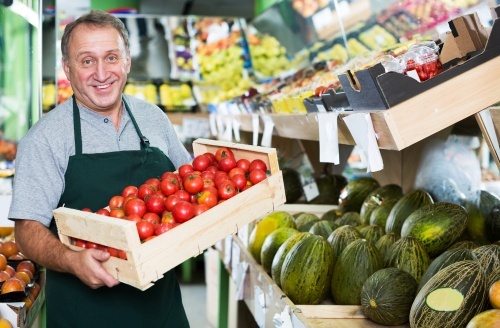 In an industry where profit margins are slim, what counts is service, and C&S offers best-in-class store management services that encompass everything from efficiently moving high volumes of products from farm to shelf, to accurate category management, to services such as logistics and distribution. While C&S strives for efficient operations and profitability, the company also believes in corporate good citizenship, giving back to the communities in which it operates. C&S lives by its motto of “Nourishing Change, Strengthening Communities,” making it a priority every year to contribute food, “people power,” and expertise to the communities it serves. In an industry where supply must meet demand in the most efficient way possible, C&S Wholesale Grocers places a high value on staying in touch and clear communication with its 17,000 employees, its 6,500 retail customers, and the broader community. For this reason, in 2015, C&S was ready to work with a voice system maintenance and support provider that could offer cost-effective, excellent service for its Avaya systems. Accordingly, in 2015, C&S decided to work with Continuant instead of the OEM, to deliver service at 32 of its key sites, covering 7,367 Avaya users. Today, Continuant offers C&S Maintenance & Support with 24/7 service, Onsite Critical Spares, Remote SSR, and Carrier Services—delivering cost-savings and maximizing the company’s voice system investment. The result? “They are a good, happy customer,” says C&S’s Continuant Named Account Manager Daniel Christenson—who works hard to make sure C&S continues to enjoy Continuant’s world-class service.